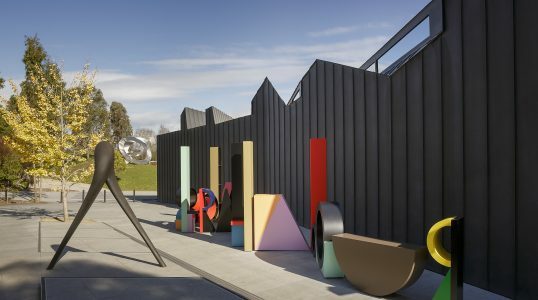 The Heide Museum of Modern Art in Melbourne is famous for its Australian art collection and contemporary sculpture garden. Inside, the museum features works by several noted modern and contemporary Australian artists, while the outside park includes contemporary sculptures and lush vegetation. The museum was established in 1981.